We left this session with so many incredible images! 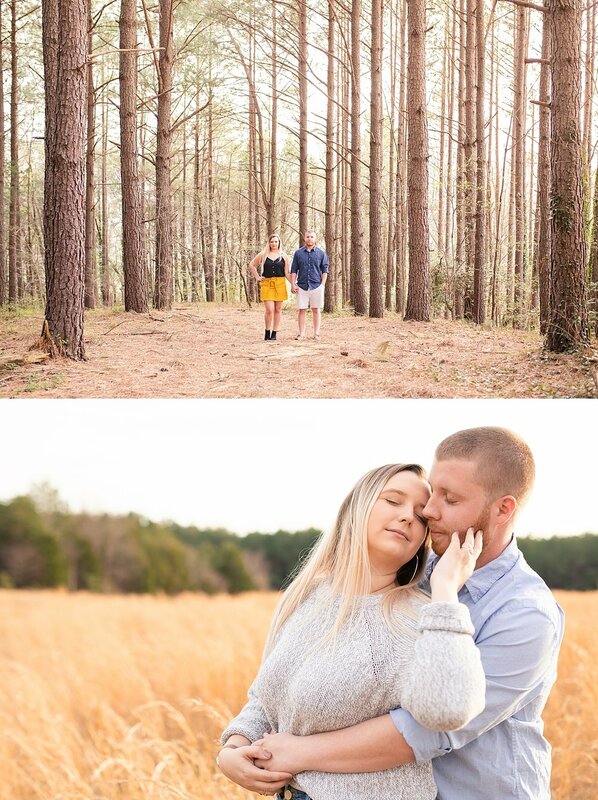 It was our first engagement session at HumanKind and we can’t wait to go back! Bobie and I had been planning this session out for a little while now. 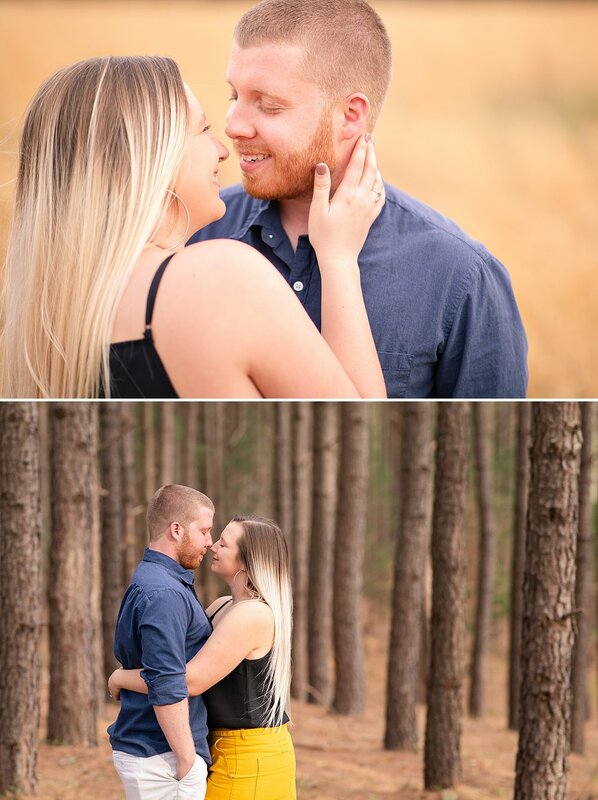 She envisioned a large field and a forest of tall trees to complete her beautiful and romantic feel for these photos. I knew there were a few venues in the area that had these but we ended up going to this beautiful property in Lynchburg! She also had some adorable poses in mind that I considered to be “advanced” posing. 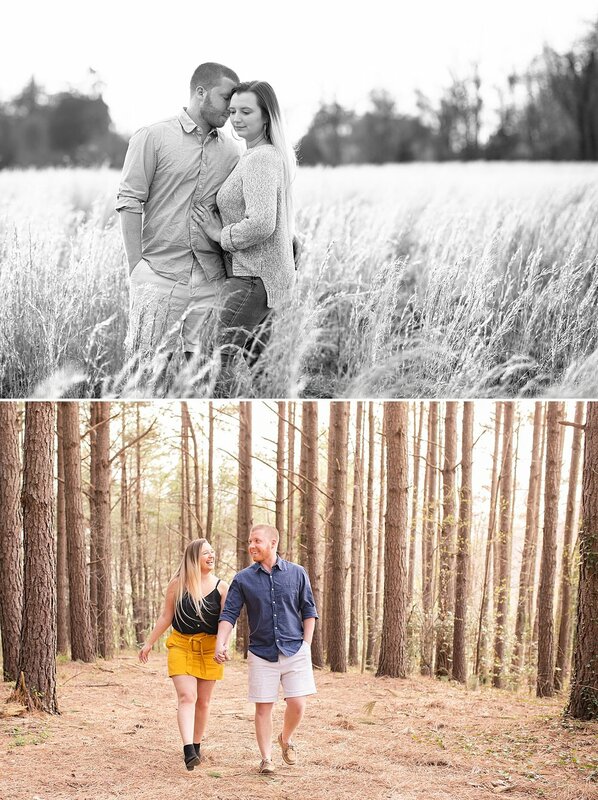 During our engagement sessions, James and I go over basic posing with our couples and usually towards the end of the session we challenge our couples with more advanced posing! So when we discussed the poses she wanted I knew these two had a pretty difficult challenge ahead of them. I knew that I had to be creative with pushing these two quickly past the basics so we could capture those photos Bobie really wanted. She told me Joe was not a fan of having his picture taken which made me nervous he wouldn’t do some of the posing. I know most guys don’t like being in front of a camera so I had to be creative with my directions to put him at ease. I have to be honest…. 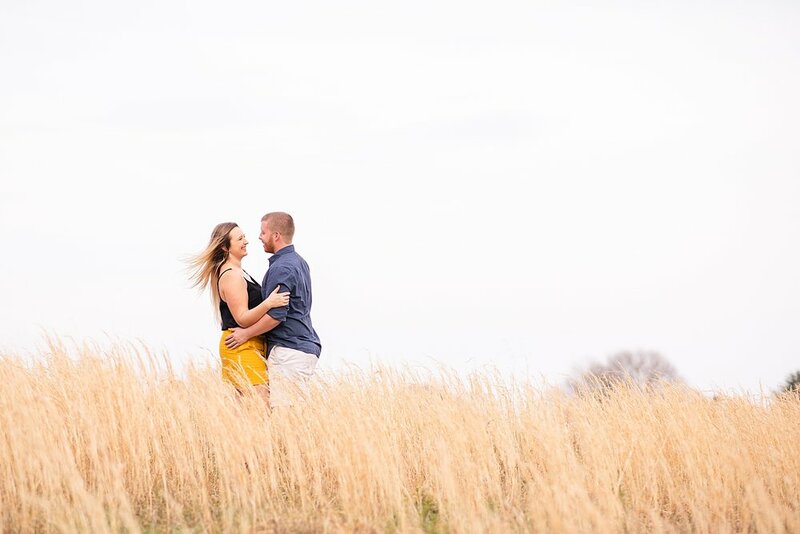 I was so nervous Joe wasn’t going to like me or the engagement session experience! We started out with my basic posing and I could tell Joe did not want to be there doing these things in front of strangers. 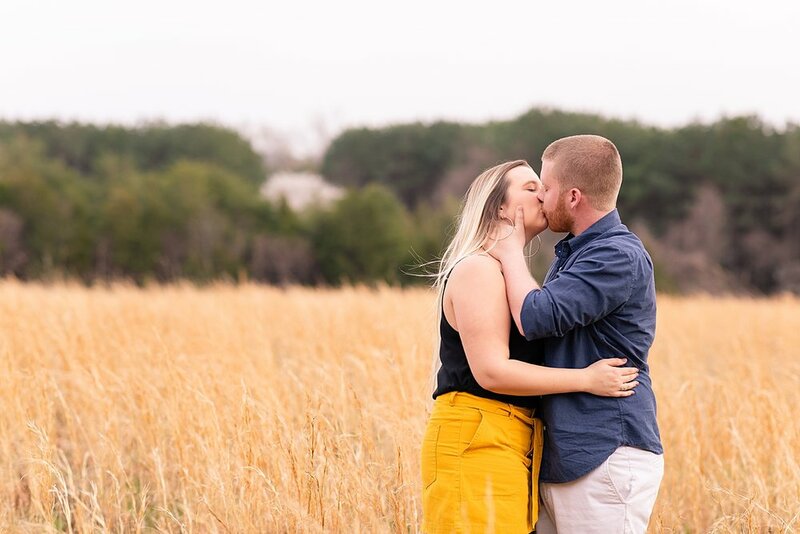 I can’t blame him because engagement sessions are seriously intimidating! James and I are photographers and James HATES getting his picture taken. So we barely have any photos of us together (but that’s changing soon)! I can tell he truly loves Bobie for putting up with me and my crazy ideas for over an hour and a half! He was such a good sport and honestly did an amazing job!! He had the best model look and every time I advanced him in posing he KILLED IT!! Joe did so well throughout the entire shoot and didn’t even put up a fuss when the love of his life asked him to twirl her, dance, and do an epic dip kiss! Seriously though, it was the sweetest thing to see him do these poses for her. The very last shot of the day was in the field and Bobie and I begged him to do a dip kiss to end the session. James and I love doing these special fun shots with our couples if they are up for it!! So after I instructed on how to do it, Joe and Bobie did the PERFECT dip kiss. It was like they had been practicing for weeks. Seriously there are only a few couples that ever get this shot on the first try and THEY DID IT!!! I loved their sneak peek images so much I actually added them to my bridal show slide show! James and I were at the Lynchburg Bridal Expo the morning after this engagement session. Joe and Bobie were attending the show to pick out the last few vendors for their day and support her momma (owner of Purple Door Catering). They stopped by my booth to say hi and Joe actually gave me a HUG and said he enjoyed our time together! I had to hold back tears guys! Joe didn’t know this but he completely made my day! For a groom that doesn’t like photos to say he loved our time together means so much and made me so proud of these images! 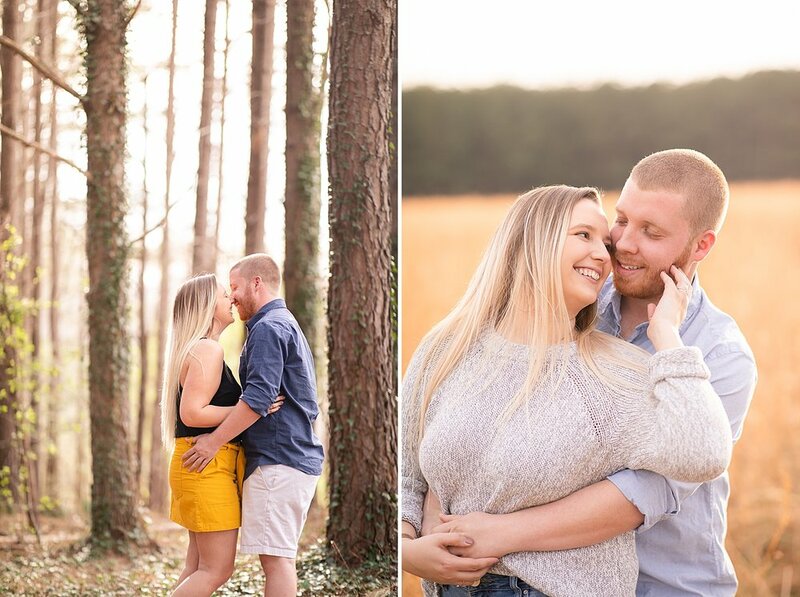 I can’t wait to see these two again and look forward to their 2020 wedding!! Oh and I included some of our surprise guests!! I always seem to have unexpected guests at my shoots. It’s not planned I promise!! I loved this golden hour glow!! They got this on the FIRST TRY!! I love how sweet and romantic these are!! Can we say hair goals?! I am missing my long hair now! Her beautiful hair was flowing so nicely in the wind!! Love this shot! Oh my gosh I just love this! So romantic! Surprise!! Guys I love dogs so much. Yes we paused our photos to pet them. They were so sweet! Look at this ring! Joe did so good!